SE10 is known for its array of beautiful gardens, and here at Gardeners Greenwich we hope that we have helped to be a part of this uprising in skilled garden craft. We offer a huge range of gardening services at highly competitive prices, all provided by our extremely talented and passionate professional gardeners. Our experts can supply regular lawn care and other general maintenance you might require. Call us now to discuss the options with our team members. We can even offer superb options on landscape gardening at incredible prices, so get in touch with us today to learn more. If you've got an active family, you'll probably be keen to use your garden as much as possible. Throughout Greenwich, we've been working alongside families to make their gardens fun, multi-functional spaces that are also baby-friendly and safe. Our services include lawn mowing, to keep that mini football pitch in good condition! There's also weed control to make sure that no stinging nettles or thorns cause any problems. Our expert Greenwich gardeners are on hand to help out and even provide garden redesign if you'd like a complete overhaul. Wildlife. It's everywhere in the SE10 area, trampling through our gardens day and night! Often our local insects, birds and small critters can be highly beneficial to our garden's health; however, we still need to lend a helping hand with regular garden maintenance Greenwich to ensure that only the friendly wildlife is enjoying our garden spaces. Our gardening professionals have been helping people manage their gardens and their wildlife. Our team can offer advice and then provide such options as lawn maintenance or planting. Clearing the waste from your garden can also make it a safer place for our feathery friends, so get in touch with our team today and they can assist determining the best options for your garden. All throughout the SE10 region, we've been helping locals prepare their gardens for the onset of winter. Winter can be a tricky time of year, with its cold winds and nightly bouts of frost. We've been ensuring that gardens are ready to survive the icy months with regular maintenance, spraying and general garden tidy up. If you are keen to bring in a dedicated gardening service in Greenwich, call today. One of our professional landscape designers can even get in touch to discuss your options for garden redesign if you need it. Unsure how on earth to go about hiring in a commercial gardening service in Greenwich? There's no need to fret. 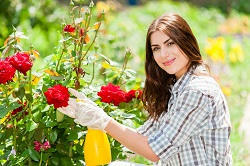 We have many gardening professionals on hand to advise you and offer their expertise. They can craft long-term design projects to transform your garden and its layout. Or, our experts can provide general maintenance to keep your outdoor space in good condition throughout the year. The best way to go about it is to give one of our agents a call and discuss what you need. We're available all throughout the year. We can help you with any of your gardening needs! We are passionate about reliable gardening, so whether it is regular lawn mowing or a one-off garden overhaul, we are sure to be able to assist you. We have staff based throughout the SE10 region to help you out, no matter the size or shape of your garden. Our staff are an experienced team of skilled experts, so your garden will definitely be in safe hands! Call one of our dedicated gardeners Greenwich right now and get a free consultation! Garden maintenance is essential at my home. I always choose Gardening Services Greenwich who does work in London and the surrounding areas and they will beat any competitor's price which is awesome. From beginning to end, the team Gardeners Greenwich sent to install my new garden design did an unbelievable job! They were very professional, friendly, and quick! I love it! In all it was a tremendous garden maintenance service carried out by GardenersGreenwich. I wouldn't hesitate to use them again. Not only did we get a great service from Gardening Services Greenwich, we were charged a more than reasonable price. Excellent value for money. My hedges needed trimming so I called Greenwich Landscapers and they came within the next few hours and completed the job. Very satisfied with their hedge trimming service and the low cost! Company name: Gardeners Greenwich . 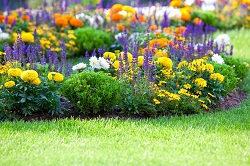 Description: Hire our amazing garden maintenance services offered in Greenwich, SE10 and create an oasis in your home. Call now because offer ends soon! © Copyright 2014 - 2015 Gardeners Greenwich Ltd. All Rights Reserved.